Patient is HCV Positive, liver transplanted from a 22-year-old donor performed at age 70. Interview conducted 14 years post-liver transplant. For Marcela Almada Calles of Valle de Bravo, Mexico, a picturesque town on the shores of Lake Avándaro about two hours outside of Mexico City where she has lived for 30 years, life is about seizing the moment and having “an open mind and positive attitude.” An active woman in her 80’s, Marcela’s days are full of professional and personal achievements and a long list of activities still to accomplish. However, life wasn’t always so positive as she put her life on hold for two-and-a-half years to relocate to Los Angeles, California, so that she could have a liver transplant. Image SOURCE: Photographs courtesy of Marcela Almada Calles. Marcela’s story started 20 years ago during a time when she operated a successful event planning and catering business for high-profile government and social dignitaries, pharmaceutical companies, and luxury department stores. At that point, Marcela decided to make an appointment with her local physician and friend, Dr. Sergio Ulloa, a highly regarded rheumatologist and corporate and government affairs leader in Mexico, who examined her and took several blood tests. When the blood results came back, Dr. Ulloa immediately referred her to Dr. Sergio Kershenovich, a well-regarded hepatologist, at his private clinic, who checked her for symptoms of Hepatitis C. After that Marcela decided to get another opinion and went to see Dr. Fernando Quijano, a general surgeon, who immediately wanted her to have surgery because he had found a cancerous tumor in her liver. At that point, my six children – Marcela, Luis, Diego, Rodolfo, Gabriela, Mario — who live in parts of Mexico and Singapore became involved in my health care decisions and treatment plan. At that time, she was put on a national liver transplant list by the UCLA Transplant Center. Marcela arrived at UCLA in Los Angeles with her family on Mother’s Day — May 10, 1999 — for what she describes as “the best time in her life to be alive with the help of medicine and technology.” That meant that she needed to rent an apartment and live near the hospital in case the doctors received an anonymous donor who would give her the gift of life. Marcela filled her days at her new apartment in Los Angeles reading about her condition, meditating to quiet her mind, watching television, and talking with family, friends and neighbors. Finally, after waiting eight months for a liver transplant, Marcela’s outlook on life was greatly improved when an anonymous donor gave her the gift of life – a new, healthy liver. Marcela was then permitted to leave the hospital only a week after her surgery. Her children served as her strength. For the next 1 ½ years, Los Angeles was my “second” home. Day by day, Marcela believed as if she could conquer the world. Marcela was able to return home to Valle de Bravo with a fresh perspective, a long list of things to do, and many happy memories. Science is helping rebalance medicine with the most innovative discoveries and new ways of treating illness. Today, Marcela leads a rich and full life. Marcela has an active social life. She takes frequent vacations around the world, including a three-month holiday to Asia, where she travels multiple times to Bali, Cambodia, China and Singapore, where her daughter lives. She is an avid golfer and organizes tournaments in many private golf courses. She is learning to speak French, which is an easy transition (she says) from speaking Spanish. She plays cards with a group of friends weekly, sings in a musical group, and takes dance lessons, too. Life is very, very good. Editor’s note: We would like to thank Gabriela Contreras, a global communications consultant and patient advocate, for the tremendous help and support that she provided in locating and scheduling time to talk with Marcela Almada Calles. Marcela Almada Calles provided her permission to publish this interview on July 21, 2016. I have been writing about life, illness, and end of life experiences. I am recalling the untimely death of my mother in her 50s of Linitus Plastica. Then I recalled my cousin, Robert E. Liss, who was a reporter for the Miami Herald who came down with Hairy Cell leukemia and sought a cure. He wrote a book about the experience that would be a read for medical students. He died of his illness in 1980, leaving a wife and three children. I had not seen him since our youth, but I see his sister, Barbara, and my only living aunt, Bernice, who is 95. I accidentally came across a cousin he had on the Liss side who loves photography a few years ago, as I also have done photography and darkroom work some years ago, which complicated my recent move to be near a daughter, her husband and grandson. I am reminded of what I missed in seeing my terrific children growing up. I have been totally absorbed in Medicine for so many years that retiring was difficult. My surgical colleague, now deceased, once told me that all of his colleagues died in their boots. That may be a passing generation. I admit that I am somewhat off the topic. I’ll return to a brief picture of Bobby Liss, author of a “Fading Rainbow”. He and his were of a more activist generation, despite the fact that they were within a decade of my birth, my mother coming to US in 1941 at 18 years age with her 11 year old sister. They settled in Cleveland where that side of my family lived. Bobby and Barbara’s mother married an airforce pilot who had served in the Asian campaign, and they settled in Chautauqua, New York, where my family visited when we were children. I remember my father hitting a deer in the travel in upstate New York. Unfortunately, Bob Liss died before completing this book and it shows. He’s an amazing writer and it’s obvious this book would have been a masterpiece had he been able to complete it himself. His wife, Bonnie, did a good job finishing it, but I’ve never yet read a book that was started by one author and completed by another that was a great book. But it’s still worth reading. Facing one’s own death is never easy, but Bob (my cousin, by the way) has an amazing outlook and I feel like I really learned a lot. Plus, it’s an easy, quick, engrossing read. For architect Bonnie Holmberg, writing began with tragedy. 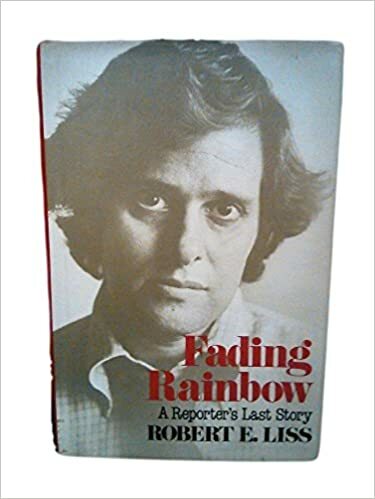 Diagnosed with an incurable form of leukemia, Holmberg’s first husband, Miami Herald reporter Robert Liss, had written most of Fading Rainbow, a book about his experience with a terminal illness. When he died before the book was finished, Holmberg completed his last few chapters in 1983, and the writing bug bit. As the head of corporate design for now-defunct Eastern Airlines, she wrote her next book, Cruising at 30,000 Feet, aboard planes, writing about her life as a new widow and mother of three school-age boys (two of whom are now writers). These days, Holmberg, 60, is remarried, retired, and a guide-in-training at Monticello, working under first-place winner David Ronka. Neither knew the other had entered. Her winning entry, “Felonious Monk,” she says, was inspired by a friend who had put her home in her son’s name. “I thought, ‘Oh gosh, what could go wrong there? '” she says. Fortunately for that friend, nothing terrible happened, but the thought stayed with Holmberg– and a recent Charlottesville bank robbery offered further inspiration. She keeps her spirits up in a writing support group– an idea she suggests to anyone who wants to get into writing. Anyone who’s ever started a sentence with “I’m too old to…” should take a few pointers from first-place winner David Ronka. “I was 49 or 50 when I went back for the MFA,” says Ronka, a long-time government worker who earned his graduate degree from University of Massachusetts-Amherst where he studied fiction under famed novelist John Edgar Wideman. These days, Ronka, 61, is a historic interpreter at Monticello, but writing remains a passion. 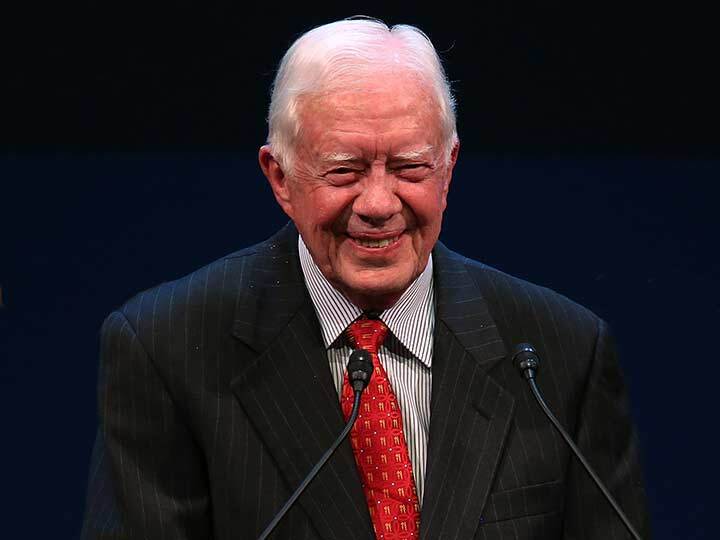 “It’s something I can be doing when I’m 90,” he says. His winning story, “What Can’t be Cured,” explores death through the eyes of a man whose marriage has also expired– but just might be resurrected. “By putting an interesting twist on some recognizable male emotions, the author delivers present conflict and resolution in a light, but sincere vision of a man willing to admit his mistakes and try again,” they wrote. Ronka’s compliance with the contest rules, they said, earned him high marks as well. So just how does one come up with the idea for a winning story? “By observing, listening, asking myself constantly, ‘What if? '” says Ronka, whose inspiration for this story– originally a 61-page novella– came when a good friend passed away. So what’s his favorite part of the story? earned tenure. She never returned my calls. resurrection of their professional and personal vitality. spiring and utterly truthful book. that you can’t win these cases. In the twenty years since this book was first published, hundreds of thousands of patients, family members, professional and volunteer care providers have learned the basic fundamentals of providing physical, emotional, spiritual and information supports. People need to relatively pain free and alert for as long as they can. The hospice philosophy of care is about living life to its fullest before you die. That is not what typically happens for people near the end of their lives. Their physical pain is often not controlled well. That is inexcusable. No one need suffer unbearable pain. No one. Many people hope that their last weeks and months will be filled with compassionate medical support, well-informed and caring family and friends, and information on how to live life fully. That is what excellent hospice care is all about. That is what Family Hospice Care is all about. Harry van Bommel helped his mother, father and grandfather to live at home until they died. He has helped countless others through his writing, speaking, teaching and one-to-one support turn an end-of-life experience into something to be treasured rather than feared. His detailed suggestions help people take some control of the roller coaster ride of emotions, feelings and experiences. The journey at the end-of-life will have moments of frustration, anger, tears, despair and overwhelming fear. That is too often the only experiences people have. Family Hospice Care is a tool that helps you minimize these negative experiences while providing specific ideas so that you can also experience profound moments of love, laughter, joy, retelling of stories, bonding with family and friends and care providers. Like birth, death can be an incredible opportunity to review your own life and its direction and find out the wisdom of all ages: it is our relationships with others that matter most at these times. Living fully until you die provides an opportunity to nurture those relationships to an even greater degree. interesting finding. Of course, you won’t find a large scale study for a medicinal that is regulated as a FOOD. Whatever the cost, if the side effect were insignificant, it would be a challenge to pharma, but the cost is not picked up by insurance. Reporter for Miami Herald, merit scholar graduate from Brandeis U., father of 3, develops Hairy Cell Leukemia, going out like a “failing rainbow”, tells the story of tests, hospitalizations, treatments, pain. Story completed by his wife – Bonnie Liss. But what really stuck with me, what really is making a difference in my life, the thing I need to remind myself of every single say is this: One of the characters goes to see a published author speak about his latest novel. They end up having a brief affair and she suggests one of his books for the group and he attends to meeting. In the course of speaking about his process, he tells the group that he used to putter around the house all day waiting for inspiration and it never came. So now he sits down at his desk at nine every morning and just starts. And the words come and he writes twenty pages a day. So I’m trying something similar to that. Since I have a full-time job that is not writing a novel, I can’t sit down at nine every morning and just write all day. But I have decided to dedicate a minimum of one hour per day to it. I’ve done that for three days now and plan to continue today. My friend Amy over at Mrs. Thor is in a similar situation — trying to get inspired and trying to make significant changes in her personal and creative life. So we’ve started our own private little writing group, though I don’t know that’s the appropriate term. We’re going to speak on the phone once a week and set goals for ourselves (like my writing an hour a day) and then check in by e-mail each day on whether we met the goals. It’s no pressure, but it’s still being accountable to someone else and hopefully inspired by the other person’s progress. So far, I’ve added 3,100 words to my novel and rewritten a short story from a few months ago. It feels good. long before the idea of a corporation or land ownership or anything else modern, people traded and bartered for goods and services. We use money in our modern society, but humans for most of our very long history, have in one way or another purchased items for life from each other. It may have been that I have a cow and you have an orange tree so I traded milk for oranges. No more central heat, air conditioning or indoor plumbing. Give up your cars, bicycles and all other forms of transportation other than swimming or walking. Build your own house with no power tools. Build that house without tools made with any form of power tools. Quit your job to do nothing but hunt and garden and fight for resources. No one will be allowed to keep pets. In fact, you can’t have that cow I mentioned above because what other species keeps cows? Or dogs? Cats? Horses? You’re on your own. PETA will be happy. Sun isn’t considered Hemingway’s greatest work and it was a strange book in that there really was no plot. Or maybe a very weak plot that the reader has to kind of search out. It was just a story about a series of events that happened to this group of people. But I still enjoyed it on a certain level. Almost like a course in creative writing without having to sit in a classroom. I’m discovering how very much I have in common with this man. It’s all very strange. I’ve always said that my time as a journalist was the best thing that ever happened to my creative writing style. The quick, active, short way one must write newspaper articles — getting to the point quickly and using limited space to convey a vast amount of information — translates excellently into short story and novel-writing. One learns to not waste words or over-describe. Turns out, Hemingway learned the exact same lesson in the exact same way I did. He began his writing career in journalism and he learned to write fiction by emulating the journalistic style. I hate to compare myself to him because he’s considered so widely to be one of the best writers in history and especially of the twentieth century and I haven’t even published a short story. Maybe I’m arrogant in my comparison, but I see so much of my style in his. I see the writer I maybe am not yet but want to be some day. It is not always clear what the diagnosis is when a young person develops a psychosis, which is usually a clear break, but the features are not typical. In the New York Times Opinion Page of Nov 17, 2015, Norman Ornstein describes the development of such in his son – How to help save the mentally ill from themselves. He describes legislation in process to deal with the problem of when you institutionalize a potentially suicidal patient. This was the situation that I described in the murder of Rabbi Adler on the podium by Richard Wishnetsky so many years ago. In the case of Ornstein, his oldest son Mathhew died at 34 of carbon monoxide poisoning 10 years after his problem was discovered. The son was a brilliant student, and he excelled in debating. He was compassionate and empathetic. This young man was a standup comedian and after graduating from Princeton wh went to Hollywood. The father describes his son’s condition as anosognosia, meaning lack of recognition of his illness. I recall that a prominent cancer surgeon who was manic depressive psychotic and required lithium might have behaved that way when he failed to take his medication. He had a tragic surgical failure that ended his career when he was doing a rectal dissection and got into the posterior vascular bed and was in trouble, needing the assistance of the Chief of Urology. The patient who died received over 100 units of blood. This very intelligent surgeon would throw the specimen he removed to the pathologist who entered the operating room in poor judgement. I also recall a valued colleague of mine, a mathematical genius with MD and PhD tell me how the great surgeon and father of kidney transplantation could work tirelessly, but he died in a plane crash – himself as the pilot. I’m not in a position to disagree with Norman Ornstein’s conclusion that the son had a serious mood disorder, but the presentation he describes is similar to the two cases I mention. In addition, I did not mention that my dear colleague was himself manic depressive, and he would work tirelessly, except when he was down and out. He wrote an incredible program to diagnose heart attach from the serum enzymes for the IBM PC-XT in apl. He sailed through difficult mathematics classes without taking notes. He bacame interested in Shannon Information Theory when he heard a lecture by a microbiologist colleague who had done seminal work in classifying organisms by their biochemical features, which led to extending the use of feature extraction and combinatorial classes. Ornstein points out that his son was over age 18, so that neither the family or professionals had any legal authority to make a decision about his hospitalization or related matters. This is not quite like what I had seen with my brother. But in my brother’s case, he was completely fractured, but he also was in no way belligerent. In the case of Mathew Ornstein, he was never belligerent, but he was unkempt, kept himself poorly, and grew a beard. He also becaame ultra religious. The religiosity was also a feature of my own brother’s illness. Matthew took a position that he could not take medication. What is not clear is what medication he would have been on, which might be informative. I have been given the need to think about resilience in the face of serious conditions, such that they require special surgery. How do we account for the resilience? I can’t quite get my hands around this question. My grandfather lived a long life and retired at age 70 years as a mechanic so that a younger person could take the job. He looked after my loving grandmother with dementia with great care. He woke up early every morning and walked a good several miles before embarking on his day. He loved to have his grandchildren visit at least every Friday. He also loved to come to Detroit from Cleveland and fix anything in our house that could use fixing. His younger son was a brilliant scholar, always reading, and a top student in his school in Hungary, so that he tutored the school principal’s children. He was unable to finish his medical school studies because of the incursion of WW II. He came to Cleveland and had a good career in selling insurance, and he could manage difficult calculations in his head. He could recite the prologue to the Iliad throughout his life. He lived to 99 years. He liked to dance and enjoy himself. My Uncle Herman had an only daughter. I nickname her Lulu. She and her husband have lived in Georgia for many years. My sister was visiting her and told her that she was not like her younger pictures and was masculinizing in her features. She had a serious anterior pituitary tumor called acromegaly that secretes growth hormone. She has used the Cleveland Clinic all her life and she was referred to a former NIH physician in Los Angeles who is recognized as a world authority. She has had two surgical procedures in about two decades and is followed assiduously. There have been complicated events that were related to her present condition, but she has managed it all well. I get a call from time to time for assistance in a second opinion to review the radiology and pathology reports. Despite her condition, she has an ability to take it all in stride. I had made a recommendation many years ago on a diet that included sufficient omega 3. The downside was that when visited by relatives the use of a good restaurant is not as enjoyable. However, as I still recall, going to dinner in Florida with Herman’s brother was an experience because Dave’s wife was a far better cook. When I was handling my own thyroid condition in the last two years I heard from Lulu. She encouraged me and said that I was a Schwartz. That was the story. Our only living aunt is 95 and doing quite well except for her macular degeneration. She lives in upstate New York near her daughter, my cousin Barbara and her husband Stanley. Barbara had a motorcycle accident many years ago, and she was afflicted with an enduring pain that she managed well. It was difficult to visit when she was younger because she was so busy raising her children and taking them to activities. One might look at this as having good genes, or is it good Jeans. The significant factor is a healthy world view. Mind-body*. Core Strength. Core Stability. No matter what your age or condition, it will work for you, but don’t just take our word for it. According to the SGMA, in the U.S. alone nearly nine million people participated in Pilates in 2009 – a staggering 456% increase from 2000. Does working out with others help you stay motivated and focused? Do you need the camaraderie (and discipline) of scheduled classes to keep you on track? If so, group reformer or mat classes at a localstudio or club may be the best fit. Many clubs offer free mat classes to introduce their members to Pilates. Most group Reformer classes typically carry a fee. To find a studio, club, rehab clinic or wellness center near you that offers Pilates, visit our Pilates Studio Finder. In addition, Pilates is now offered at many rehabilitation clinics and wellness centers. If you’ve been injured or are seeking physical therapy for chronic neck and back pain, hip/knee replacements, multiple sclerosis, fibromyalgia, scoliosis or other conditions, research is showing that Pilates can be an effective treatment. Discuss any treatment program with your healthcare team. For more on Pilates for rehabilitation and sports medicine applications, our Library may be helpful. Good Pilates technique includes intricacies of both movement and breathing that are best explained and demonstrated by a qualified instructor. For all of us in this community, it’s about movement and how it can change people’s lives. And that’s what we are – a community. We’re all partners in this and when you do well, we do well, so we want you know you have our unwavering support. We’re a diverse bunch – different nationalities, different styles, perhaps even different philosophies. But the big picture remains the same. We are all trying to make this world a healthier place. Whether it’s our own health, a friend’s, or a client’s, we’ve made a conscious decision: we believe in Pilates and mindful movement and the life-altering benefits they can bestow. Weight loss, a strong and flexible body, glowing beautiful skin, peaceful mind, good health – whatever you may be looking for, yoga has it on offer. However, very often, yoga is only partially understood as being limited to asanas (yoga poses). As such, its benefits are only perceived to be at the body level and we fail to realize the immense benefits yoga offers in uniting the body, mind and breath. When you are in harmony, the journey through life is calmer, happier and more fulfilling. 1. All-round fitness. You are truly healthy when you are not just physically fit but also mentally and emotionally balanced. As Sri Sri Ravi Shankar puts it, “Health is not a mere absence of disease. It is a dynamic expression of life – in terms of how joyful, loving and enthusiastic you are.” This is where yoga helps: postures, pranayama (breathing techniques) and meditation are a holistic fitness package. 3. Stress relief. A few minutes of yoga during the day can be a great way to get rid of stress that accumulates daily – in both the body and mind. Yoga postures, pranayama and meditation are effective techniques to release stress. You can also experience how yoga helps de-tox the body and de-stress the mind at the Art of Living Yoga Level 2 Course. Yoga practice helps develop the body and mind bringing a lot of health benefits yet is not a substitute for medicine. It is important to learn and practice yoga postures under the supervision of a trained Art of Living Yoga teacher. In case of any medical condition, practice yoga postures after consulting a doctor and an Art of Living Yoga teacher. Find an Art of Living Yoga course at an Art of Living Center near you. Do you need information on courses or share feedback? Write to us at info@artoflivingyoga.in.